Every year I usually go to the pumpkin patch, hop on a hayride that takes me out to a field so I can cut a pumpkin right off the vine. It’s been a tradition every since I was little. Unfortunately, I wasn’t able to go this year due to rainy weather and a busy schedule. I was seriously bummed that I didn’t go, so I went walking around my yard and remembered something…I had a few watermelons left in my garden that I had never gotten around to eating! Ah ha! 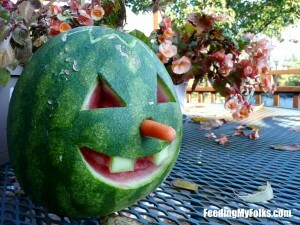 A watermelon would be a perfect substitute for a pumpkin. I carried two back to my house and began to carve. Since I love the red/green contrast, I decided to keep the insides of the watermelon intact. 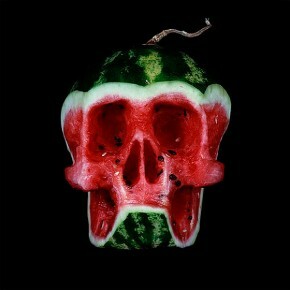 The red fruit on the inside seems to glow, it’s really neat! 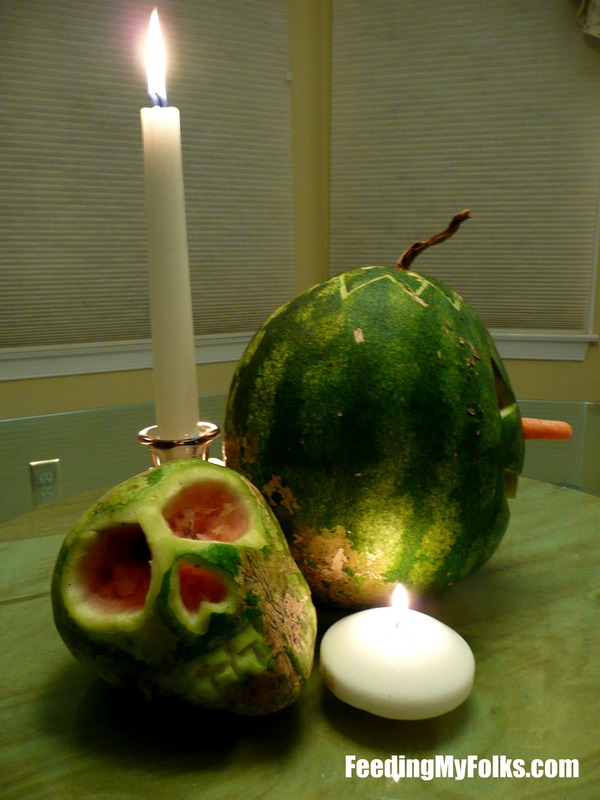 After finishing off the first fruit-“lantern”, I remembered something I saw on an art blog earlier this year. 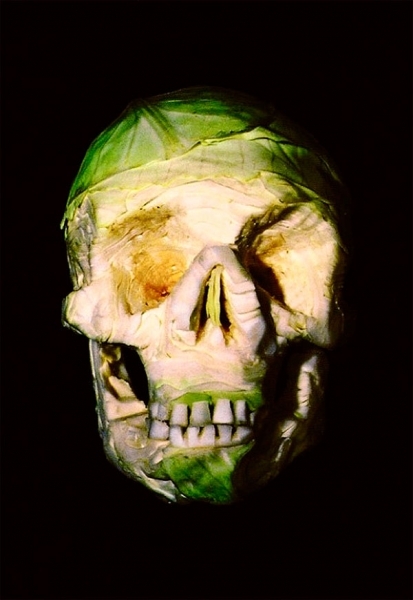 An artist by the name of Dimitri Tsykalov used fesh produce to create horrific looking skulls. 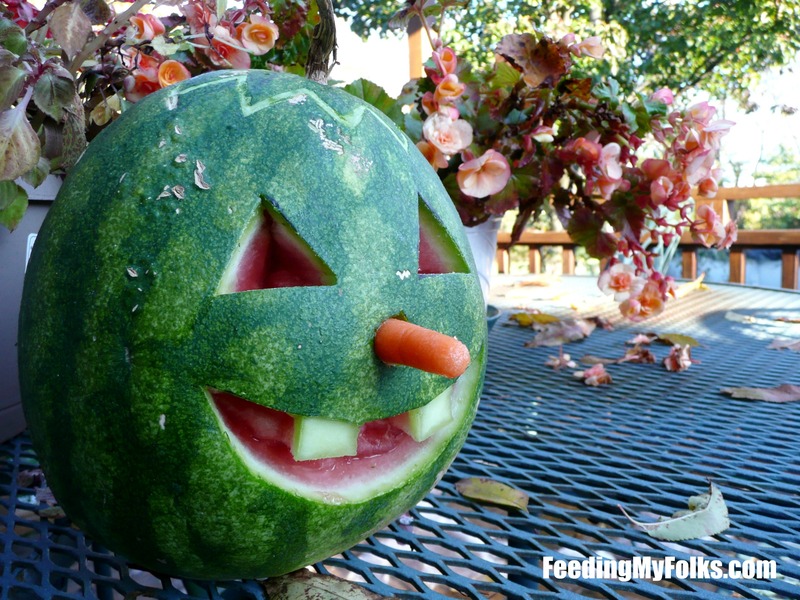 This idea would be perfect for Halloween! 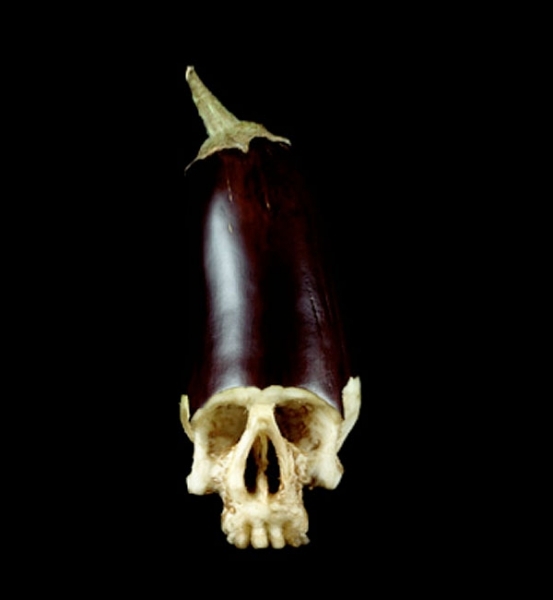 My favorite one of his sculpture is the alien-esque eggplant, followed by the realistic looking skull made from an apple. 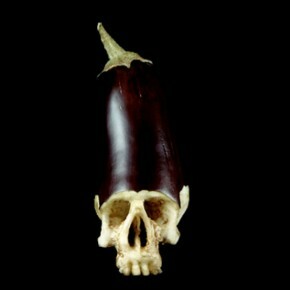 Dimitri Tsykalov works a lot with food, but the skulls are definitely my favorite. 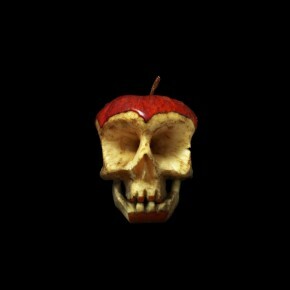 I decided to channel some of his creativity and make a fruit skull of my own! 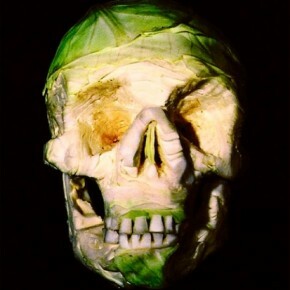 I went back to my garden and chose a deformed looking semi-corroded watermelon and began to hack away! 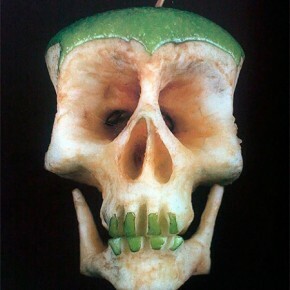 The result was pretty cool, and I’m fairly proud of my first skull carving experience. 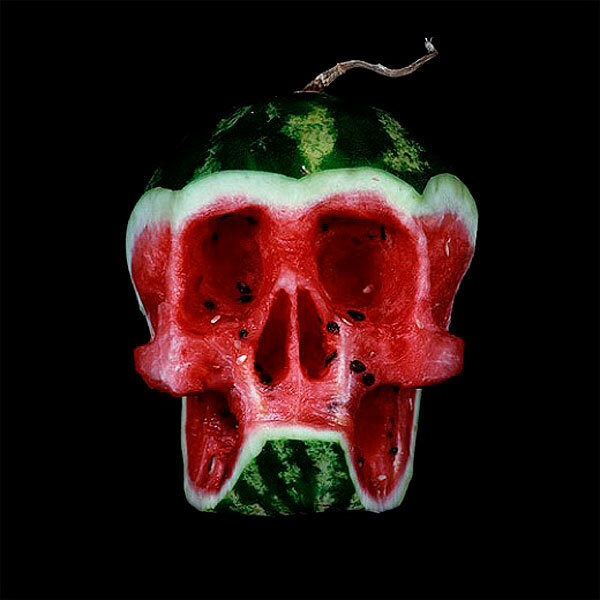 The red fruit looks like blood/guts., which is perfect for Halloween. 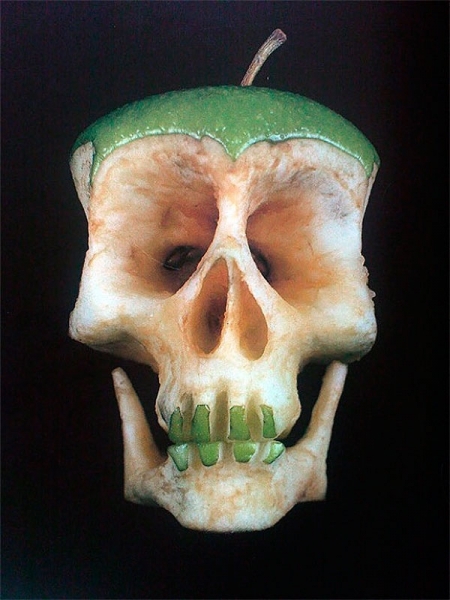 Part of the gnarly melon makes it look like the skull is caved in on one side…it was a perfect fit! I hope everyone has a happy and safe and creative Halloween! Food Blogs to Watch: Number 88! When life gives you melons… haha. Hopefully I’ll make it to the pumpkin patch this year!